Source: WingsWorld 4/2014 (out now electronically). Looks like 1/500 is official now, congrats collectors. I hope others will join soon to enjoy this superior aviation collectors forum than the others available (that i know of)! Last edited by fleetlordatvar; 08-03-2014, 02:17 AM. Yes!!!!!!! An 1:500 section!!!!!!! Sadly, no interesting model for me. Do you know what model will be the free club model and how to read WW online if you are registred to the Herpa club? Do you know what model will be the free club model and how to read WW online if you are registred to the Herpa club? 1) unfortunately not 2) log into the club shop section of Herpa.de, it's right there. #4 doesn't seem to be set up correctly yet, only the first five pages or so can be read. Not a Club release, but worth mentioning anyway: AB B738 in interim colors, exclusive for Aviation Center Berlin. 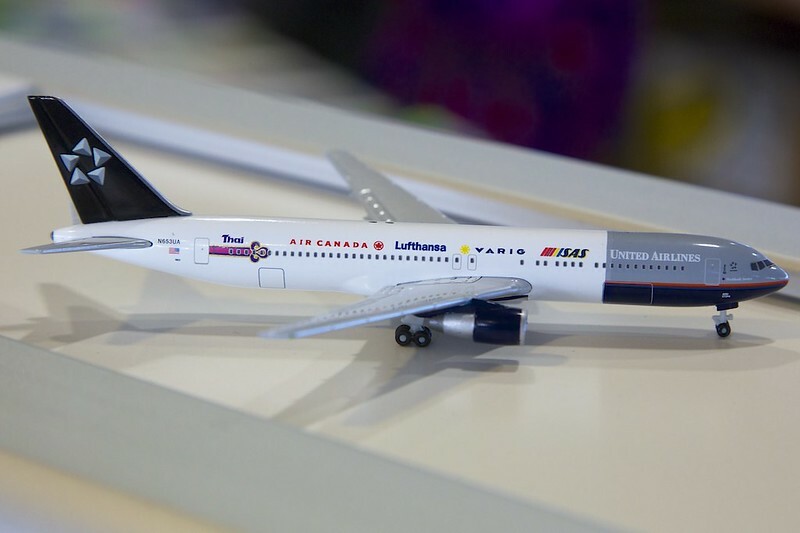 This year's "free" club model is an IB A340-300 with "Feliz Navidad" titles. Also announced in WW 6/2014: Egyptair 747-300 "Cleopatra". Last edited by Siegerflieger; 12-11-2014, 02:54 AM. To be released in April: Kulula "This Way Up"